Pictured in the photo are: Rebecca Harvey (sponsor), Jaden Harvey (senior), Salanieta Waqanivalu, (junior), Andrew Havens (sophomore), Jayda Jones (junior), Jakob Sabatula (senior), Sainiana Waqanivalu (sophomore), and Kellie Polvinale (sponsor). To bridge the gap between school and community, to restore the historic town of Brownsville, PA to economic and social prosperity, and to foster pride in the hearts of our people – This is the mission of the Brownsville Area High School Students in Action. The team has started an all-new project after their previous endeavor to demolish a row of dilapidated buildings in the heart of their city and replace them with a new park and amphitheater. This year’s group of young public servants has now set their sights on the Brownsville Free Public Library (BFPL) and are committed to ensuring that this symbol of the town’s pride can keep its doors open. By interviewing local librarians and researching at the acclaimed Carnegie Libraries of Pittsburgh, they have found that they must focus on implementing a “Teen Space” in their library. A place for students to gather, study and socialize outside of school, in a town with very few attractions, will prove to be the force that draws young people to the BFPL and the downtown region as a whole. The project is gaining momentum; the first steps toward the library’s revitalization have been taken, bringing the school and community closer together than ever before. 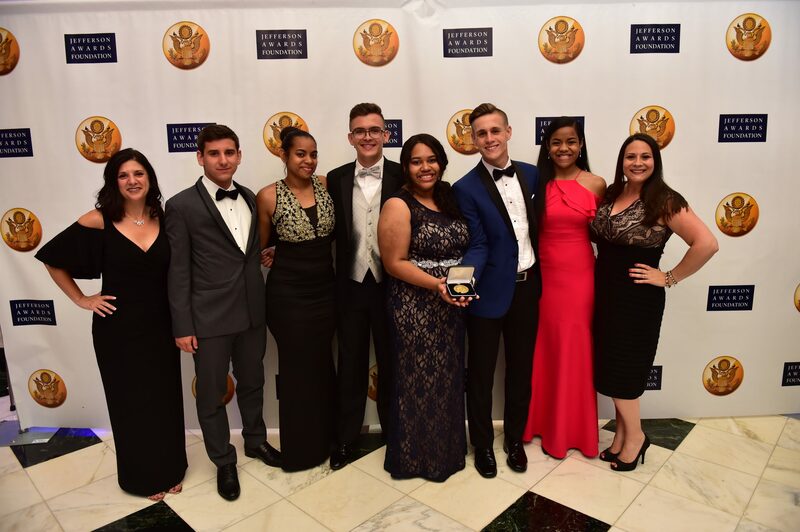 The project was presented in the Jefferson Awards Foundation regional competition and Students in Action earned their way to the national ceremony in Washington D.C. The group represented the Pittsburgh region and the Brownsville Area School District as the top regional Gold Banner level team. While in D.C. Students in Action members explored the city and attended a meeting with Senator Pat Toomey. They also collaborated with individuals from all over the nation who are passionate about service. The highlight of the trip was winning first place in the Students in Action national competition and being named the Gold National Banner School. The students are so proud to bring a national award back to Brownsville and can’t wait to see the library project to fruition.